Here’s my skin-deep understanding of the negative Kelvin temperatures mentioned in this article. This entry was posted in Physics, Statistical Mechanics on January 7, 2013 by flomu. 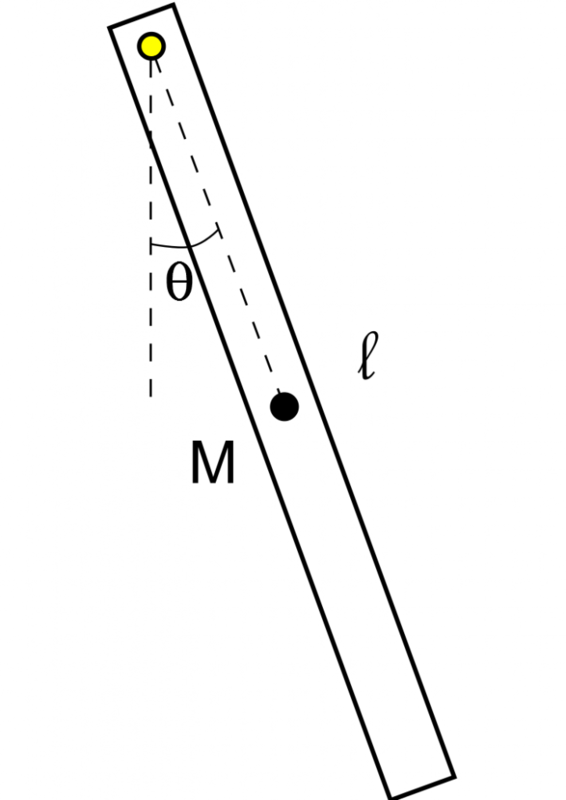 Rod of length and mass swinging about a pivot. First time using Inkscape, so I went and added , too. This entry was posted in Mechanics, Physics on January 1, 2013 by flomu.